Say hello to the Boxfish ROV — our Underwater Drone! We've built a lightweight design, which offers easy deployment and operation with a crew of just two, from virtually any small boat without the need for further equipment*. At just 23kg, it is easy to launch and recover by hand and operates down to 300m with an option to go to 1000m and beyond. Its built-in ultra-wide-angle navigation cameras, offer unprecedented surround visibility and gives the pilot excellent situational awareness. This coupled with the auto-stabilisation system and pilot assist features, make piloting the ROV a breeze. 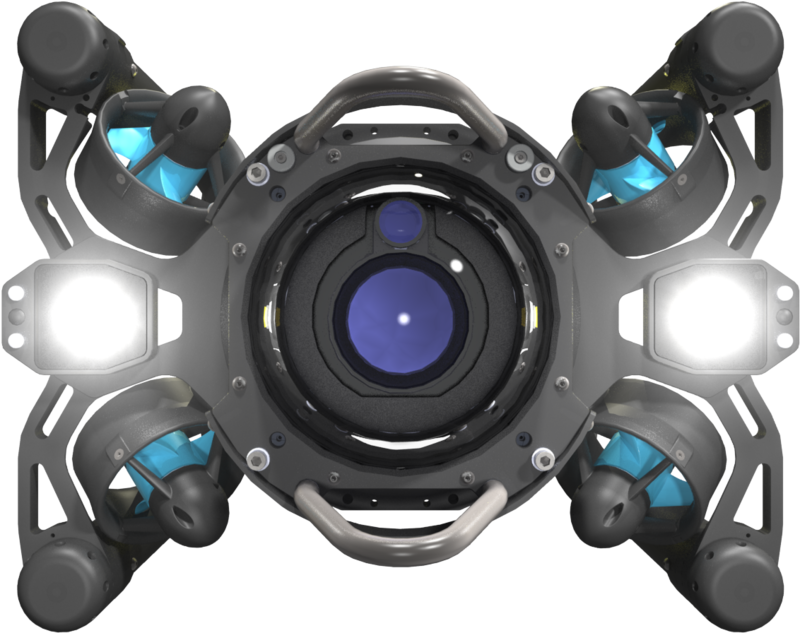 Should an unexpected disaster strike, the ROV has a fault-tolerant design allowing it to continue to operate with several fouled thrusters. Additionally, if all communications are lost, it will automatically return to the surface under its own power. From plane, to boat, to dive, the Boxfish ROV is an easy system to transport, setup and drive. Setup and deploy within minutes of arriving on site, all manageable by a single operator. The military grade precision controls do the hard part, allowing for nimble, precise and direct movement. The Boxfish ROV is the only vehicle in its class that delivers tack-sharp, uncompressed 4K video. The main 17” 4K monitor is complemented by a 10” screen that displays two video from two additional ultra-wide angle cameras that provide unprecedented surround vision. With eight vectored thrusters, the Boxfish ROV offers the unique capability of six degrees of freedom of movement, meaning, the vehicle can travel and orientate itself in any direction. This gives users a powerful tool for getting into and working in tight spaces not accessible or visible with conventional ROVs. The Boxfish can run for up to 18 hours. Typical deployments can easily last for 6-8 hours. Quick access, sealed ports mean the ROV can be charged easily in the field. The Boxfish ROV is low maintenance. Any of the eight thrusters can be replaced in minutes with basic tools, allowing you to keep working for longer. While not necessary for normal operations, the lithium battery pack can be removed easily if need be. A pair of standard 8,500-lumen lights (each) offers excellent illumination for inspection in total darkness. Adjustable ball mount arms and high CRI lighting (>90) gives optimal illumination for the best possible image capture. Our Boxfish ROV cameras provide incredible detail of subjects in challenging conditions, are easily deployed in a two man team and have unmatched active stabilization. We know that ease of use, without need for specialist training, is mission critical. Traditionally these jobs are very manual, time consuming, dangerous and costly. The Boxfish ROV significantly lowers the cost and complexity of performing underwater inspection and provides a superior record of those inspections. 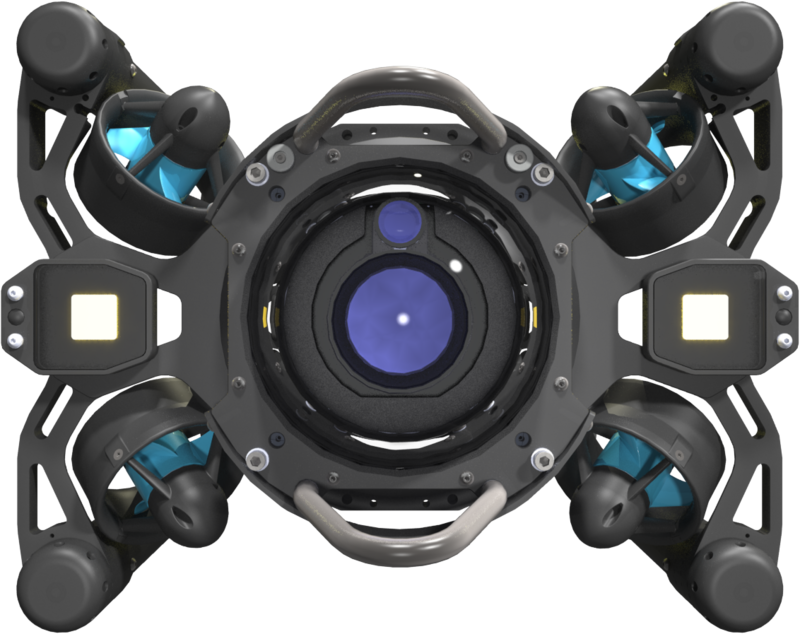 The Boxfish ROV provides performance on par with much larger working class ROV’s in terms of stability, modularity and depth ratings but at just a fraction of the cost. Video quality matches and often exceeds that of even the most advanced systems on the market. The relatively low cost of the Boxfish ROV in combination with the fact that it does not require an expensive support vessel for deployment gives research institutions and educators the possibility to make their research funding stretch much further, creating wider availability and increasing scientific output. Sensor integration options allow for a vast array of data to be collected, the option to install manipulators and sampling systems further increase the range of possible missions. Before the Boxfish ROV, underwater filmmakers have struggled to find systems that provide both a stable filming platform and real-time streaming of production quality video. Divers are the current solution to most underwater filming. However, they have multiple disadvantages, such as dive time restrictions, steadiness, and restrictions on depth and access to remote locations. On top of the issues associated with divers, there is also the need for multiple takes, this is due to the captured footage only being able to be reviewed once it has been retrieved from the camera. The Boxfish ROV directly solves these pain points and opens up new areas of the world for exploration. 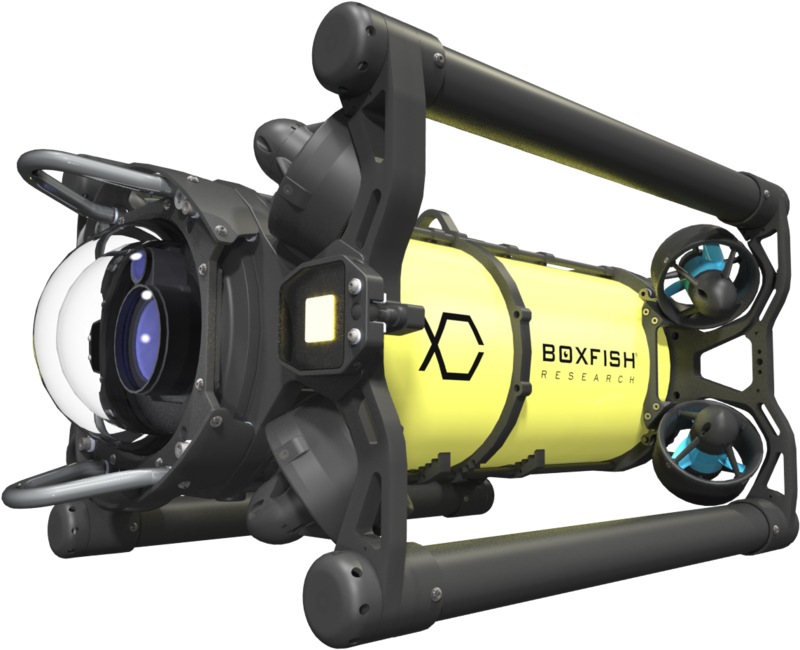 The Boxfish ROV is the only product on the market that is targeting this segment. Boxfish ROV is perfect for charter boat operators or superyacht owners looking to WOW guests and to give them super easy access to the world beneath their boats (including practical inspections). The Boxfish ROV allows any guest (even kids), to quickly master control of the ROV and live stream UHD video to the ship’s entertainment system, enabling everyone onboard to share the excitement of the unknown below. Exceptional video quality, large sensor, live 4K video streaming. True six degrees of freedom maneuvrability. Extremely stable, maneuverable platform. Easy deployment. Long runtime. 300m/1000ft depth rating.